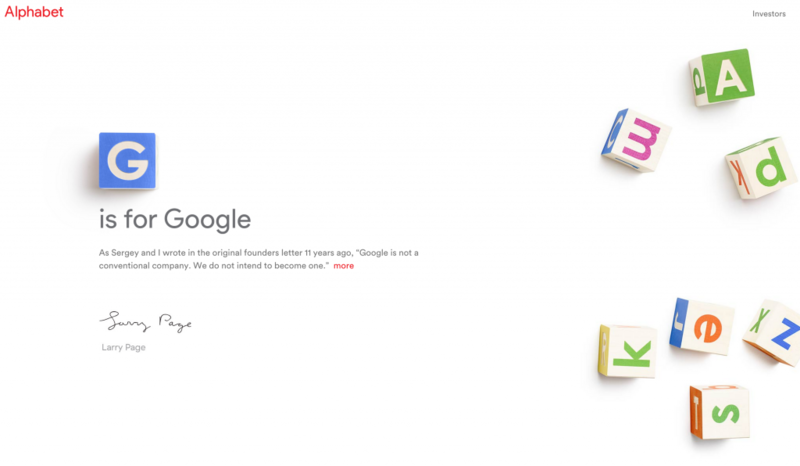 Today, the founders of Google, Sergey Brin and Larry Page announced the new company Alphabet, Inc which will own Google and other Google related companies. But, something more subtle has happened. For years, when a large company launched, they looked to own their domain in the .com space. However, Alphabet, Inc has broken away from this trend by making their domain abc.xyz. So why does this matter? Well, with ICANN approving many new tld (top level domain) extensions, some have been hesitant to embrace the new internet. I have, on the other hand, been an avid supporter of these new domains. The .com space has become crowded, and having domains that relate to your company just makes sense. But, with Google (Alphabet, Inc.) endorsing this, I think the rest of the internet and business world will hopefully fully embrace it. Now, we just have to get the general public to. I think that’s the biggest battle in the US though. .xyz is just one of the many new endings, but I think it’s a great choice for this new venture, and a huge endorsement of the XYZ domain.